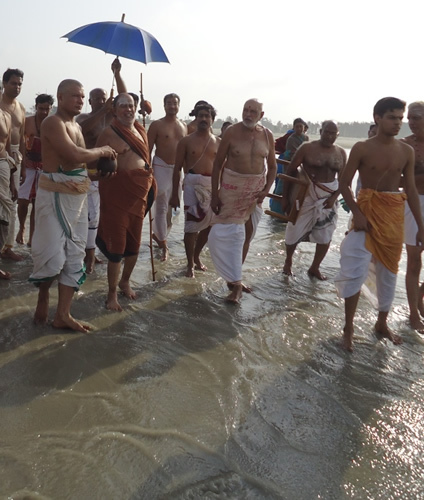 Vishva Shanti yagnas were performed at Ganga Sagar and Siliguri in West Bengal with the blessings and in the divine presence of His Holiness Pujyasri Jayendra Saraswathi Shankaracharya Swamiji, from 5 to 8 June 2012. At Ganga Sagar, the Havan took place from 5 to 7 June, at the Howrah Welfare Trust Premises. On the 8th, the Havan was performed at Siliguri in the Uttar Banga Marwari Sewa Trust. 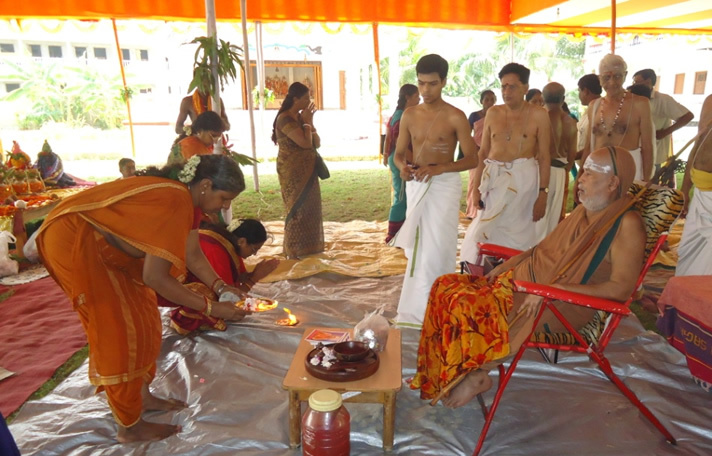 The Yagnas were sponsored by Shri Tirumala Tirupati Devasthanams. 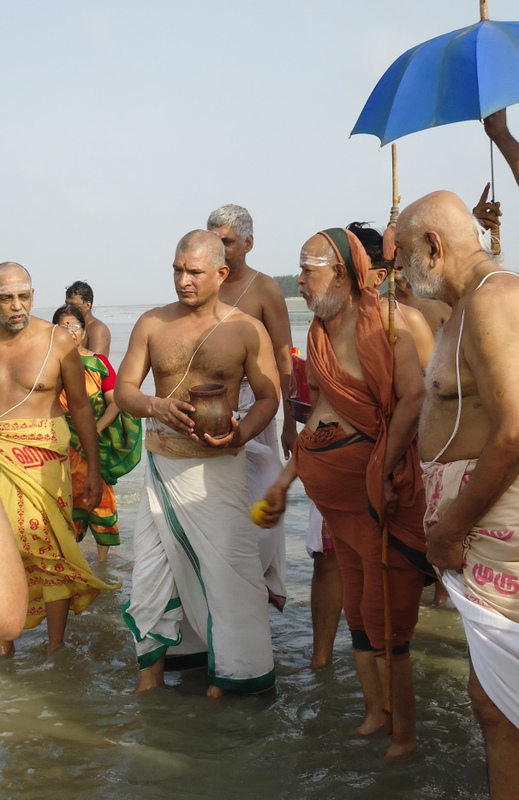 The yagnas are a part of a series of Viswa Shanti Yagnas being organized by Shri Kanchi Kamakoti Peetham at various places in the country. The first Vishva Shanti Maha Yajna was performed at Mata Shri Vaishno Devi Shrine and in Jammu from October 28th to November 2nd, 2010 by the efforts of Shri Kanchi Kamakoti Peetham as well as Tirumala Tirupati Devasthanams. The second Maha Yajna was performed at Zeashta Mata Mandir, Shrinagar, Kashmir. The Third Yagna was done at Mata Khir Bhavani Mandir in Shrinagar, J&K from 1 to 9 October 2011.